Soprano Tharanga Goonetilleke is a native of Sri Lanka. She graduated with her Artist Diploma for Opera Studies as well as her Master of Music degree in Voice and Opera at the Juilliard School. She has a Bachelor of Music degree from Converse College, Spartanburg, SC, USA with a minor in Biology. She is also an Associate of the Trinity College of Music, London, England. Tharanga’s Operatic experience includes performing the role of Mimi in La Boheme (Puccini), Lauretta and Nella in Gianni Schicchi (Puccini), Pamina and the first lady in Die Zauberflöte (Mozart), Linfea in La Calisto (Cavalli), the title role of Iphigénie en Aulide (Gluck), Despina in Così fan tutte (Mozart), Antonia in Les contes d'Hoffmann (Offenbach), Venus in Orfée aux Enfers (Offenbach), Genevra in Ariodante (Handel), Blanche in Dialogues of the Carmelites (Poulenc), and The Princess and The Bergere in " L'enfant et les sortileges" (Ravel). 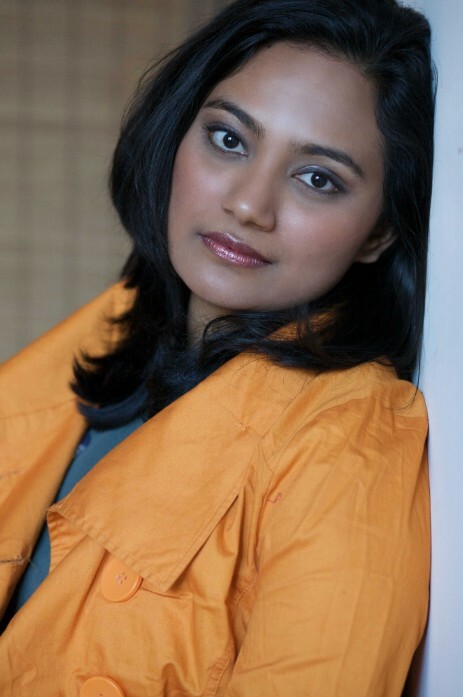 Tharanga made her New York City Opera debut in 2010 as Resi in Intermezzo by R. Strauss under the baton of George Manahan, while understudying the role of Anna in the same opera. Since then she was invited back to sing Lucy for the performances of NYCO Education in their production of Treemonisha by Scott Joplin and last season, covered the role of Miss Jessel in their production of The Turn of the Screw by Britten. The highlight of her Oratorio experience has been singing the Soprano Soli in Carl Orff’s Carmina Burana with Greenwich Choral Union, Baton Rouge Symphony, Lansing Symphony, MI, at Alice Tully Hall for the Juilliard Choral Union and Converse College. As for contemporary music she has sung the soprano solo for the world premiere of “War Requiem” by Solbong Kim in Seoul Arts Center, Korea, as well as his “A Garden by the Sea” in New York. She also performed “In Sweet Music” by William Schuman with members of the New Jersey Symphony and New York FOCUS Festival and the Songs of a Wayfarer by Gustav Mahler with the Argento Chamber Ensemble, NY. She has also performed as Soprano soloist in Mendelssohn's Incidental Music to “A Midsummer Night's Dream" with Dame Helen Mirren and Jeremy Irons as narrators (Toronto, Canada and Washington DC) and the Castleton Festival's Bizet extravaganza where she performed Micaëla alongside Denise Graves as Carmen- both concerts conducted by Lorin Maazel. In her home country, Tharanga made her solo debut with The Symphony Orchestra of Sri Lanka (SOSL) after winning the Concerto Competition of Sri Lanka in 1998. In addition, she has won the Trinity College of Music examination prizes in singing for three consecutive years for which achievement she was awarded the Yamaha Trophy in 1997. Since then she has been a frequent performer with the SOSL. In the US she has been adjudged a winner in both New York and South Carolina districts at the Metropolitan Opera National Council auditions. She is also a winner of the Palmetto Opera competition in Columbia, SC. At Juilliard she was awarded the Makiko Narumi Memorial prize and is a recipient of the Sing for Hope Grant awarded to recent alumni of Julliard. Tharanga is the first woman from Sri Lanka to be accepted to the prestigious Juilliard School.